Get started on a free insurance quote with Access Advantage Insurance today! 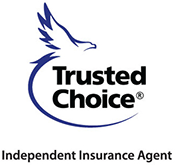 How can Access Advantage Insurance Agency best serve you? Call one of our experienced agents today at 704-372-4233 or send us a message below. Access Advantage Insurance Agency has you covered from insurance coverage for you car, home, business, and so much more.